Windows Movie Maker and iMovie come free with Windows and Mac OSX respectively. Recent versions have made them much more than the basic editors they used to be; they now support images from modern hard drive cameras, and video from mobile phones. Lightworks is a professional video editing suite which is being released as free software. It takes some time to learn how to use it but it is very powerful. The main limitation of Lightworks is that the free version will only accept certain older kinds of video files. If you want to use video from modern camcorders and mobile phones you will need to use another piece of software to convert files to a format that Lightworks can understand. Adobe Premiere and Final Cut Pro are both commonly used by home editors and professionals. They are well designed, easy to use, advanced programs with support for video from different cameras and phones. If you have to pay for a full copy, the cost is very high. There are educational versions available with less features for a reduced cost. 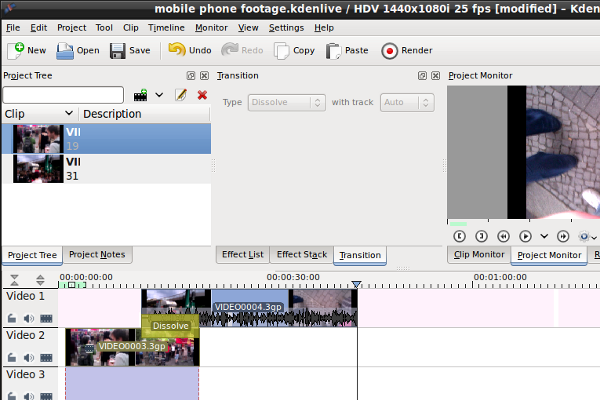 For operating systems like Ubuntu, Kdenlive is a stable and increasingly flexible video editing application. It has multi-track editing, titles, transition, good support for multiple file formats and it is now stable enough to be a serious contender in this area. 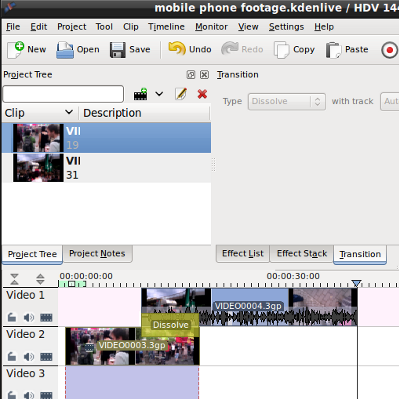 If you are looking for a free and open source video editor then it may well be worth installing Linux to be able to use Kdenlive.